Okay, so I will get a little into why this is so important. 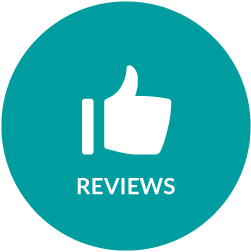 For starters, your review supports the author and keeps him or her writing the next masterpiece. The more reviews the author receives, the more people are likely to buy the author's books, which in turn gives the author more resources to put toward subsequent works. Who knows? Your insightful review may be the one that convinces a random agent or traditional publisher checking out my book's Amazon's page to take the plunge. Most important of all is how good it makes the author feel to read each new glowing review. I had a reader contact me and go on and on about how great BC9 was to her. The book wasn't even something she would normally read, but she was glad she did. That is what keeps us going, and we appreciate the heck out of each and every review. Now, I'm largely stating the obvious and perhaps nagging a bit, but look. I know that people buy a lot of stuff but only review a small fraction of what they purchase. I do it, too. But even if you wouldn't typically post a review for that cute sweater you bought from a major retailer or that shiny new toaster, at least consider posting a review for a novel self-published by the hard-working little guy. Those high-paid marketing teams will make sure traditionally published novels get theirs, but no one is looking out for Ms. Indie Author except for her and you. And yes, of course, reviews take time and effort. You have to access your device, navigate to the review entry page, maybe log in somewhere, actually do some thinking, and then write. And some people don't see themselves as writers or tell themselves they can't think of anything to write. It can be hard to work up that motivation, which is why you should think about the motivation it took to write the book in the first place, and then think of why you read the book all the way to the end. Could you not put it down? Did you love the characters, premise, plot, or world? Were you moved by the story or intellectually stimulated? Are you looking forward to the sequel, if applicable? Simply write two or three sentences commenting on those aspects. I'll get off my soapbox now and leave you with this in summary. Given how important each individual review is to an indie author along with how much time he or she put into the book versus how long it took you to read it, how can you justify not taking an extra few minutes to submit that review? Therefore, if you're someone who read a book and enjoyed it but is sitting on their hands, please make the effort. Trust me, you'll be appreciated.